"In 2006, the Hawaii historic aviation project was turned over to Marilyn Kali, the HDOT's Director of Public Affairs for more than 20 years, and historian for Honolulu International Airport. For more than four years Mrs. Kali located and scanned thousands of photos from the archives of the HDOT, the Hawaii State Archives, Hickam Air Force Base, U.S. Army Museum of Hawaii, U.S. Navy History Center, Marine Corps Base Hawaii, and private collectors who made their photo collections available. Along the way, she also collected numerous stories, newspaper articles and magazine clippings about early aviation in Hawaii. Is the above image public domain? 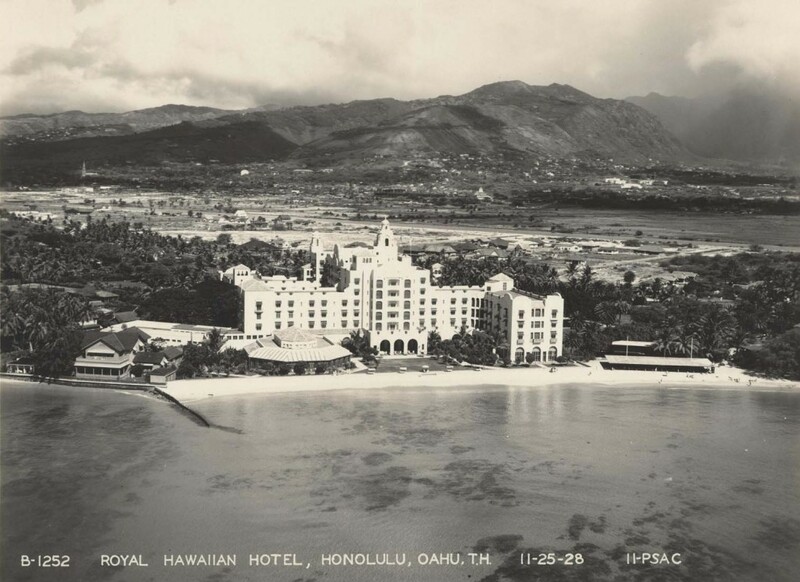 I am trying to tell my dad’s WWII story and he spent the night before 12/7/41 dancing at the Royal Hawaiian Hotel. I am about to publish his story and the image above would be perfect to help tell the story.